Cold water carping is all about location. Like the Carp in your fish pond they are prone to shoaling up really tightly. So location is key. Small baits and very, very small PVA bags of baits fished on fluorocarbon leaders, in-line leads and fluorocarbon hook lengths; obviously with small size 12’s or 10’s hooks are the order of the day. I am not bothered if I catch Bream or Tench as at least it’s activity – and if we can trick these fish, well, we can trick Carp. Carp will often feed alongside or bully-off other fish in the swim. Do not over-feed the Carp as they do not need much food, just a little to keep them interested. With winter fast approaching, many anglers will be hanging their rods up when the first hard frost arrives, but what they don’t realise is, there are many rewards up for grabs for braving the cold. Here is how I approach my winter fishing. Make no mistake, winter fishing is hard, and choosing the right venue for a winter campaign or even a few day sessions is crucial. A shallow well stocked venue will provide you with the best chance of a bite in the cold, it really depends what you want from your fishing, venues such as Thorpe Lea in Surrey, Sandhurst Lake in Y ateley, and Linear Fisheries in Oxfordshire are all excellent winter day ticket venues worth considering. Keeping warm in the winter will not only keep you happy, but will also make you more efficient and increase your chances of a bite in the cold. Let’s look at some of the kit needed to make winter fishing comfortable. 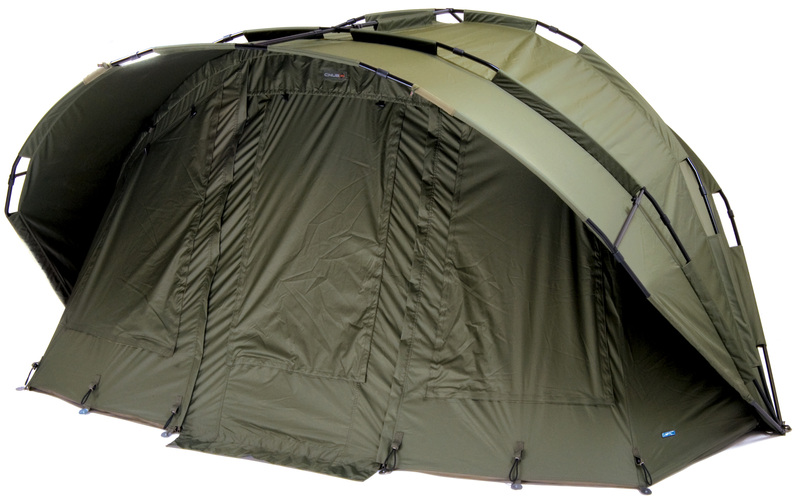 A good sturdy bivvy, with a twin skin to keep the warm in and prevent condensation is essential, a heavy duty groundsheet will keep the cold and the rain out too and generally make life a bit more bearable. Good examples are the Chub Cyfish Mk2 or the Vizor. A good quality 5 season bag is worth investing in if you are planning on doing some serious winter night fishing, a thermal sleeping bag cover will provide added warmth in the coldest of weathers, depending on how much you feel the cold. A good buy is the Chub Cloud 9 3 Season Bag. Couple this with a Chub Cloud Fleece Bed Chair Cover and you can turn a 3 season sleeping bag into a 5 season arrangement. I don’t want to tell you how to dress yourself but it’s surprising how many anglers are under gunned in the clothing department when it comes to winter fishing. More thinner layers of clothing are better than a couple of thick layers. If you do get too warm then it’s easy to remove thinner layers and still be comfortable. 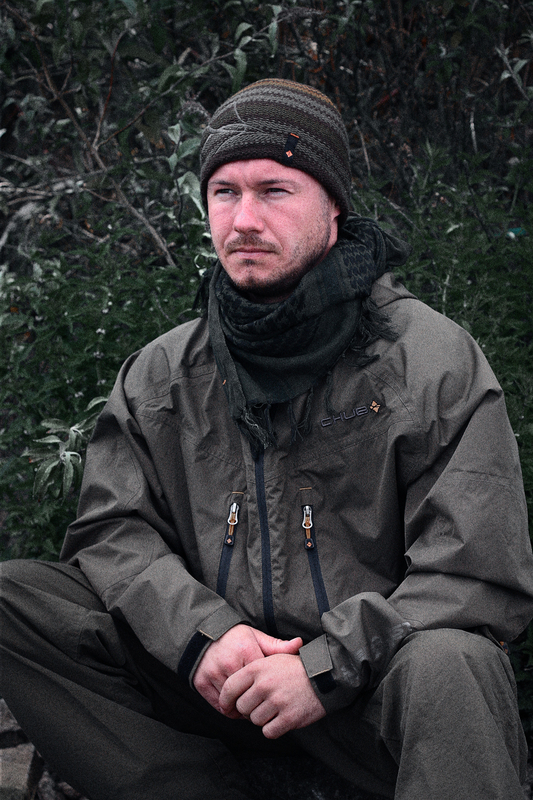 The Chub Vantage Base Layer Set when used in conjunction with hoodies and the Chub Vantage All Weather Suit is a great way to keep warm and dry. If you cannot get warm then you cannot concentrate and even worse you might get frost bite in extreme circumstances so always take enough clothes and a few spare in the car just in case the weather changes and catches you out. A good quality petrol stove is perfect for winter sessions as gas stoves can be hard to light in the coldest of weathers as the gas turns to liquid. Petrol stoves will work in the coldest of weathers, and are superb for making morale boosting drinks and hot food! There are a vast array of gadgets and bits of kit to make life more comfortable on the bank. Bivvy heaters, portable DVD players, the list is endless; with the nights drawing in and darkness arriving around 5pm, and first light not until 8am, that’s a lot of dark hours spent on the bank. Make life as comfortable as you can. This is a subject I could write pages and pages on, but for this piece I will keep it simple and suggest a few tried and tested baits. Boilies are the obvious choice but steer clear of high oil content boilies. Your good summer fish meal bait will more than likely struggle to produce in the winter. A good fruity or bird food based boilie will see you right. Nut based boilies such as the Dynamite Tiger Nut ones are usually a good bet in the winter, try your own and see what works for you. High visibility fruity pop ups produce time and time again. Yellow pineapple pop-ups and orange tutti fruitti’s have accounted for thousands of winter Carp and you should always have a tub of either in your bag – when the going gets tough, a single pop up can often produce the goods. Pepparami is a very underrated bait and has caught me lots of Carp in cooler weather. Fished with a mesh bag of pellet and crushed pepperami, often tipped with a fake piece of corn, it can often produce a take when the boilies aren’t being touched. If you have been baiting a few spots around your lake through the summer and autumn, then don’t assume you have to stop once the winter arrives. If you keep presenting bait on the spots the Carp can be encouraged to continue feeding all the way through the winter. Keep topping up the bait and try not to stop the baiting-up. If you do stop the Carp will slow down into a winter slumber and either slip into a semi dormant state, or find somewhere else to feed. 1) Kit yourself out properly – being cold and uncomfortable won’t help you catch fish! This entry was posted in Techniques and Methods and tagged carp academy, carp fishing, ian gemson. Bookmark the permalink. Hi, I go fishing on a lake just near my house where everyone seemes to hammer and catch. When I go down I dont catch a thing but I know my rigs work. What should I do?